KATHMANDU, Sept 7: Former Prime Minister and CPN-UML Chairman KP Sharma Oli has floated a proposal of setting up a statue of Prithvi Narayan Shah at Chandragiri hill in a bid to promote tourism around the area. 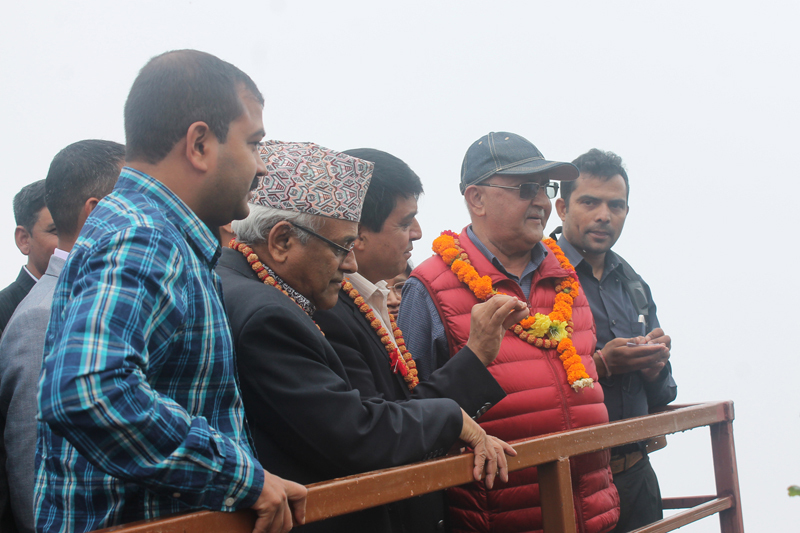 The former PM said this during the Chandragiri hill tourism promotion program organized by the party's tourism special area committee Wednesday. The program was organized at Chandragiri, the hill in the southern belt of the Kathmandu Valley which gives a good view of the Valley. "The Chandragiri hill is a historical place; it also carries a religious importance. 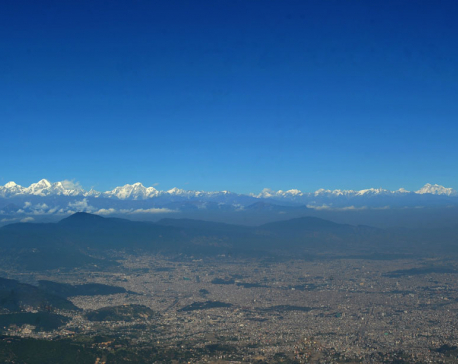 Prithvi Narayan Shah had planned to annex the three cities in the Valley after viewing them from here, and finally succeeded in doing so. So, let's erect his statue to remember such towering personality in Nepali history," he said, urging the government to build infrastructures for promoting tourism in the country. On the occasion, he honored Chief of the Chandragiri Hill Pvt, Chandra Prasad Dhakal, for the latter's contribution to tourism promotion. 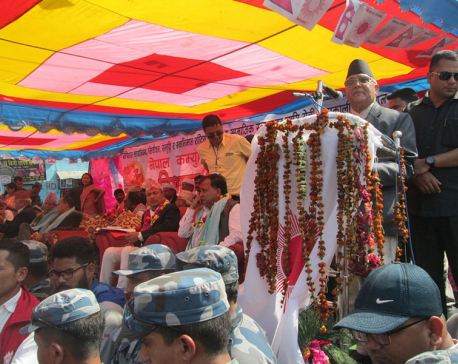 Mr Dhakal urged the political parties to ban their cadres and youth groups from collecting donation from development practitioners. He shared that Chandragiri cable car was initiated to attract both domestic and foreign tourists. Dozens of office bearers of the party including Chairman Oli, his spouse Radhika Shakya, former Chairman Jhalanath Khanal, Vice-Chairmen Bamdev Gautam, Yuvraj Gyawali, Bhim Rawal, Asta Laxmi Shakya, and Secretary Pradip Gyawali visited Chandragiri hills today.